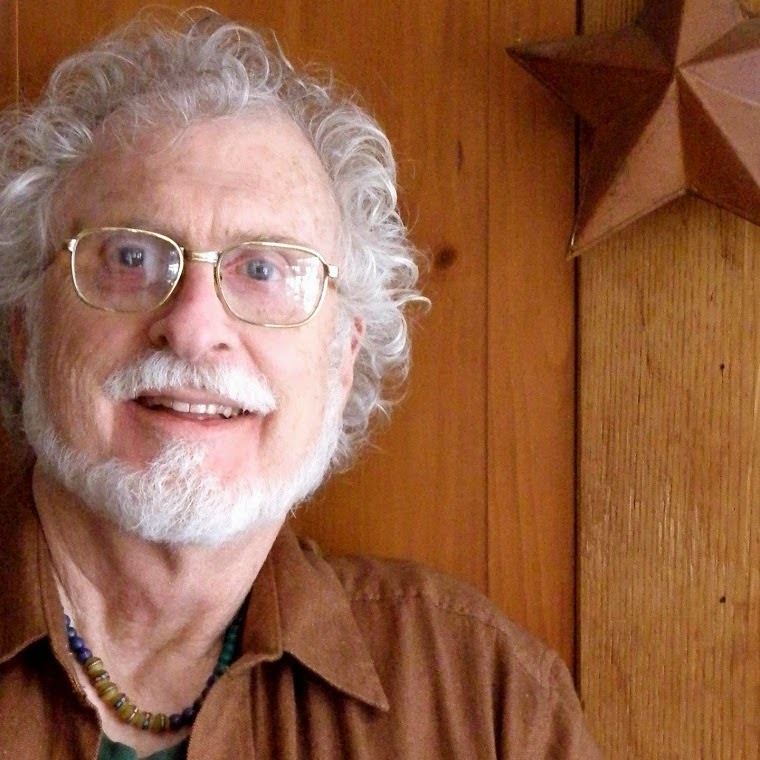 KidLit411 is delighted to present to you the legendary author-illustrator, MERCER MAYER! This week, KidLit411 had the exciting privilege of talking to Mercer Mayer. I have personally loved this author and his art for as long as I can remember. My childhood was filled with reading his books like the LITTLE CRITTER series and THERE'S A NIGHTMARE IN MY CLOSET. It was a real thrill to have a chance to speak with him directly. Mr. Mayer was just as warm and interesting as I always imagined that he would be, and very generous with his time. Without further ado, KidLit411 introduces the legendary, Mercer Mayer! Welcome Mr. Mayer, thank you for this interview and for being featured in our AUTHOR-ILLUSTRATOR SPOTLIGHT! How did you get started in the industry? How long have you been in the industry? When I was 13, my family moved to Hawaii, and I attended the Honolulu Academy of Arts where I studied art. Then, in 1964, I went to New York and began studying at the Art Students League and shopping my portfolio around to editors. When I first started, I went around to see editors like Ursula Nordstrom at Harper and Phyllis Fogelman at Dial Press. Things were much more open then and you could just knock on a door and get your work seen. An editor at Dial Press expressed an interest in my drawings, but complained that they were having a hard time finding good stories. I thought to myself, I don't have any good stories! She told me to just write about life, and I thought, what the heck, I can do that. I have been doing since, for some 40 plus years. Was illustrating something that you always wanted to do? I always wanted to be an illustrator, I just didn't think that I was going to be able to do it. I had even given up until I ran into an old friend of my mother's, Martha Alexander. Martha was a prolific author, and she helped me to break into the industry. I always draw first. In fact, my first book, A BOY, A DOG, AND A FROG was written in 1967 and released by Dial, and it was a completely wordless picture book. The illustration told the whole story! I am always inspired by something from my childhood, I reflect upon my childhood or my children's childhood constantly to spark ideas. Now I am a grandfather and I get inspiration from my grandkids. 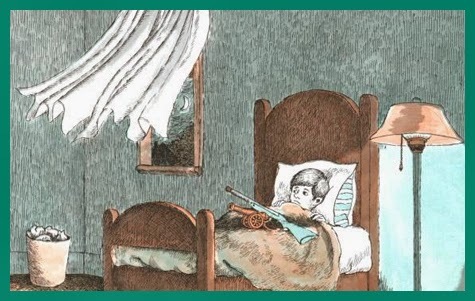 When I wrote THERE'S A NIGHTMARE IN MY CLOSET, people compared it to WHERE THE WILD THINGS ARE by Maurice Sendak. They were very critical of my book, saying (unfavorably) that I had modeled my book after his. The thing was, I had never even read WHERE THE WILD THINGS ARE when I wrote my book! I wrote it based on my own night time fears as a child. Even though there was some negativity surrounding the book, the book did well and is now considered a classic. Can you tell us about the LITTLE CRITTER Series? In 1975 my first LITTLE CRITTER picture book came out, JUST ME AND MY DAD. In 2013, my latest JUST ONE MORE PET, was released. I have been so lucky to be writing the same series for over 30 years! I have published over 300 books and many generations of kids have grown up reading my books, and that makes me very happy. The issues that Little Critter deals with as he grows up are timeless and classic. They are the same problems that we had 30 plus years ago and those problems are still relevant today. Is there any advice that you would give to aspiring authors/illustrators? Do not QUIT! Do not give up and keep beating down doors until someone answers you. You are going to be rejected- expect it, accept it and move on. Don't get bogged down in rejection because it is all part of the process. Everyone gets rejected. Early in my career, I had an art director tell me that I should quit. I didn't listen. If I had, LITTLE CRITTER and LITTLE MONSTER would not be here. If writing or illustrating is your passion, keep at it! Last question: Do you like anchovies on your pizza? What an interesting question! I like pizza and I certainly don't mind having it with anchovies. Thanks so much for spending some time with us at KidLit411, Mr. Mayer! 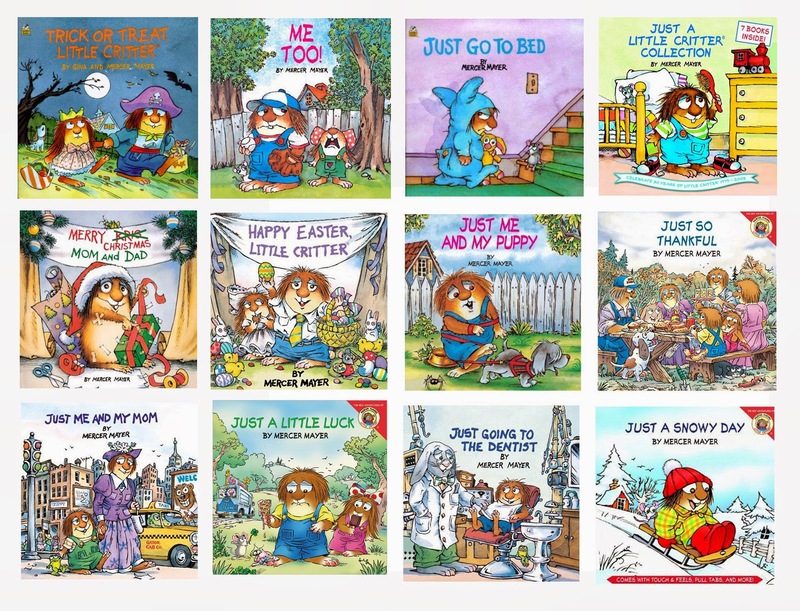 Mercer Mayer is the writer and illustrator of the Little Critter First Readers, as well as the Little Critter Spectrum. He began writing and illustrating children's books in 1966 and he has published more than 300 titles. His award-winning work features dragons, cuddly monsters, wonderful creatures, and endearing critters. Mercer Mayer was born in Arkansas in 1943. When he was thirteen years old, his family moved to Hawaii. After high school, he attended the Honolulu Academy of Arts, and then he went to New York City and the Art Students League. 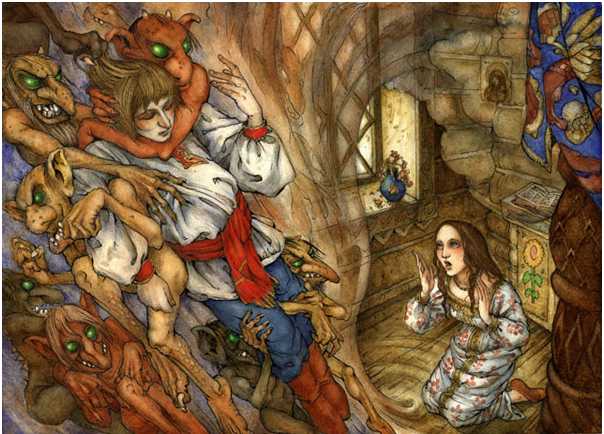 "Most of my books are about things that happened to me when I was a little kid," says Mercer. "Now that I'm a big kid, I write about things that happen now, especially with my own children and grandchildren. They always remind me of what it is like to be little." 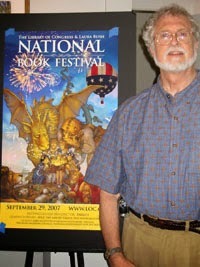 In 2007, Mercer Mayer was chosen to be the National Book Festival Artist of the Year. He and his wife, Gina, write the Little Critter stories together. They live in New England. I'll always have a place on my bookshelf for Little Critter! I may have read some of Mr. Mayer's books as a child, but my childhood was too far back for me to remember. ;) I do know that the Little Critter series is one of my own kids' favorites (especially my younger son's). Thanks for featuring this ultra talented writer-illustrator, Elaine! Thank you for featuring one of my childhood (and adult) favorites, Elaine! I've been adding to my Little Critter classroom collection for many years! I admire Mr. Mayer so much... thanks for inspiring us to keep at it! Great! Thanks :-) I've lots of the Little Critter books that my 6 and 8 year old love. And thanks Mercer for so much excellent inspiration! Awesome interview! I still love the Little Critter series and Nightmare in my Closet. Thanks for the interview and advice to never quit! Thank you Elaine and Mr. Mercer. What an inspiring and interesting interview. Little Critter series is a fave with our family! Shared in reading with my sons and now with my grandsons. Thank you, Mercer, for such wonderful classics for young and old alike to snuggle up too! My son has always loved Little Monster! We were lucky to find an early interactive CD of Little Monster at School when he was young. It was one of the first "apps" that we bought from iTunes and is still a beloved favorite! Love, love, love Little Critter and I am so glad that you added the anchovy question! 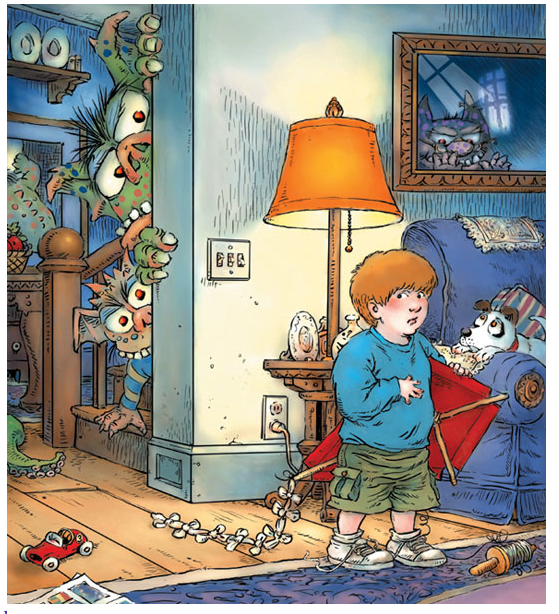 My kids and I love There's Nightmare in My Closet and the Little Critter Series. Great Interview, thanks for sharing. I always liked Little Critter growing up, and now our kids do too. 300 books, wow! And yes, thanks for the encouragement, Mercer! 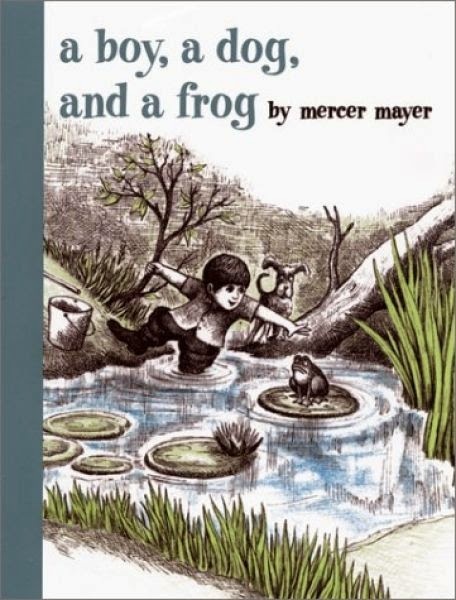 I love Little Critter and it was so fun to read about Mercer Mayer's writing and illustrating journey! I can't believe an art director told him he should quit! He's a legend and the world wouldn't be as happy without him! Just Go to Bed is one of my favorites! Little Critter is a huggable link between parents and children. what a fabulous interview! I feel so inspired and ready to take on the world of agents and publishers!! Thank you Mercer! !